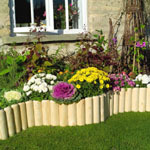 These wood picket fence are ideal for lawn borders and lawn edging. The picket fence panel are screwed to rails. These picket fences have 13 panel. This picket fence has a Burnt finish. 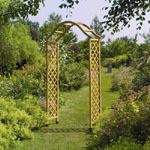 All our wooden picketfence is from the highest quality FSC certified timber. 15 year guarantee against rot. We guarantee all pressure impregnated. 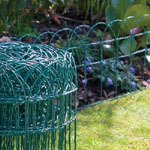 Log Roll Edging from only £5.99.